Professor Daniel Hoyer (Dept. 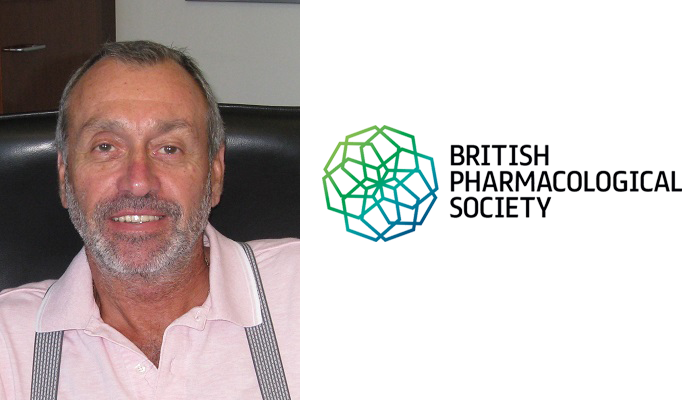 Pharmacology & Therapeutics) has been awarded an Honorary Fellowship by the British Pharmacological Society for his contribution to the British Journal of Pharmacology and for his leadership in the pharmacology of serotonin. Every year the British Pharmacological Society elects for life a small number of Honorary Fellows in recognition of sustained excellence and leadership in science, healthcare, and public service. Late in 2018, Professor Hoyer, the Head of Department of Pharmacology and Therapeutics, was awarded an Honorary Fellowship for his contribution to the British Journal of Pharmacology and for his leadership in the pharmacology of serotonin (5HT). Congratulations to Professor Hoyer on this amazing professional achievement!